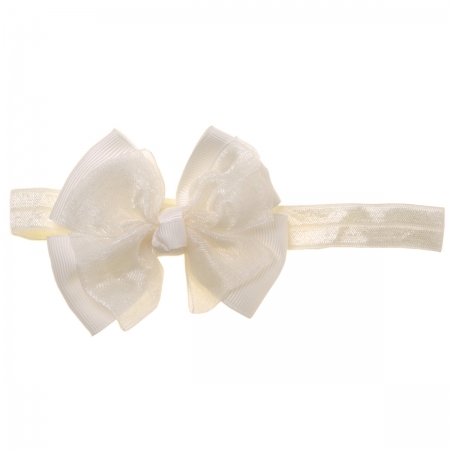 Ivory colour 3.5 inches gros-grain and organza ribbons bow with headband. The bow has a clip and is removable from the headband. The ivory ribbons are are 1 inch wide. The headband is suitable for upto 4 years.